Singaporean professional photographer Justin Ng is making international news headlines with his recent stunning capture of Comet ISON - the *potential* Comet of the Century! He captured the comet on 27 October 2013 at Mersing, Johor, West Malaysia. So what are you waiting for? Check out more of his amazing photos at his website http://www.justinngphoto.com and follow him at @JustinNgPhoto now! 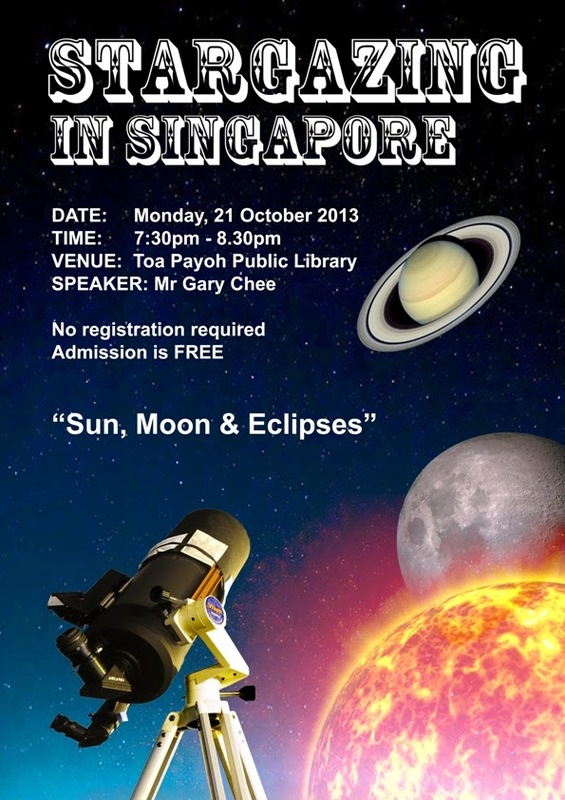 Weather permitting, the last double shadow transit will be visible in Singapore tomorrow for October 2013. The two shadows will be casted by the two moons of Jupiter - Io and Europa. When the double shadow transits occur, Jupiter will be very high up in the northern sky (69°) where the atmosphere is thinner compared to the horizon. This is the best position so far for the past three shadow transits offering potentially the clearest view. For those who do not wish to stay up all night, you can get your telescope ready, go to sleep early, set your alarm to wake up at around 6:00am and start enjoying the view. If the weather is clear enough, you can still observe Jupiter until at least 7:00am when the sky turns blue! That's how bright Jupiter can be if you know where to look for it. 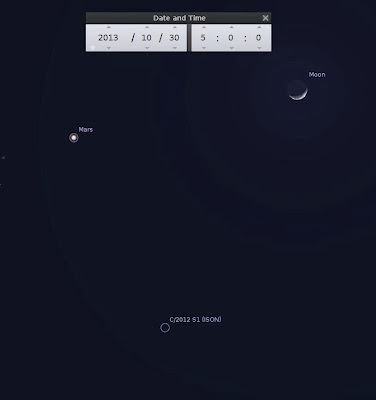 Don't forget to enjoy the beautiful thin crescent Moon right beside Mars! And for those who are more ambitious, you may hunt for Comet ISON visually through telescopes or with your camera and lenses. Northeast monsoon is fast approaching. Next few shadow transits over the next few months may not be visible due to potential bad weather. So clear skies and good luck to all shadow hunters! There will be another rare double shadow transit across Jupiter early tomorrow morning. Compared to the previous double shadow transit last Wednesday, Jupiter will be in a higher 56° altitude - displaying the shadow transits through thinner atmosphere for a clearer view. Some double transits happens far apart - one about to disappear (egress) while the other just appeared (ingress). For tomorrow's transits, their ingress timings are very near to one another. They are only about 3 minutes apart. This means we can potentially observe or photograph these transits for a much longer time across the disc of Jupiter - 2 hours and 12 minutes! Although there is a bright Moon tonight, if the sky is clear enough, you may even catch a meteor while looking at the the direction of Jupiter! 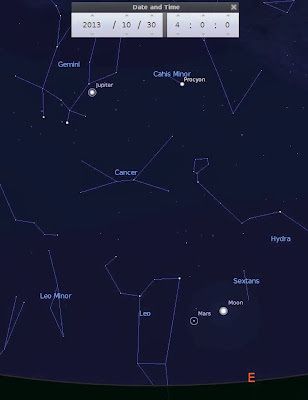 The radiant point of Orionid Meteor shower is near the "club" of Orion which is near Jupiter. This meteor shower is expected to peak last night (21 Oct) and tonight is still pretty close to the peak night. According to SpaceWeather.com officials -"Forecasters expect the shower to peak on Oct. 21 with about 20 meteors per hour. However, Halley's debris stream is broad, so Orionid activity could spill into Oct. 22nd.". Do not have overly high expectation of catching it tonight because the meteor rate is low - about one every three minutes on average. Treat it as a bonus if you do, else continue to enjoy the shadow transits! And if the sky is clear enough, there may be still a chance to catch the elusive Comet ISON below Mars! So good luck, clear skies and try to stay awake the healthy non-caffeinated way - pure adrenaline rush from thinking about seeing these rare transits at more than 600,00,000km away from Singapore through telescopes! The next public stargazing talk I will be conducting is titled "Sun, Moon and Eclipses". 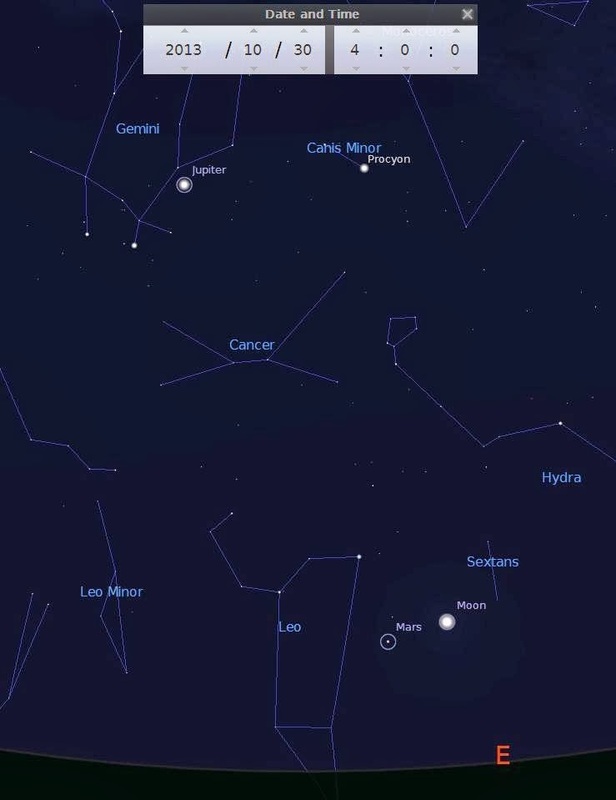 Learn about the Sun, Moon and the different type of eclipses they form as seen from Earth. Find out when are the interesting upcoming eclipses visible in or around Singapore in the coming years and how and where to observe them! There will also be brief introduction about spotting Comet ISON which will be the major focus of the next public library talk in November! *Weather permitting* overnight stargazing tonight. From 11:30pm tonight onwards (15 Oct) till tomorrow sunrise. Venue: McDonald's at Bishan Park. Main targets: Jupiter and Comet ISON. Will be bringing a 10-inch dobsonian telescope along. Come join us if you are free. In the event I cannot update this blog in time, please follow my tweets @astrosg for latest updates (e.g. change of location in park). Good luck to all shadow chasers and comet hunters! Today is Tuesday 15 Oct 2013, hereby wishing all Muslims Selamat Hari Raya Aidiladha! As mentioned in my previous blog, there are 3 double shadow transits visible from Singapore this month. Jupiter will not rise higher than 40° during this double shadow transit. Not the best highest position to catch this transit but good enough if the weather co-operates. For the past few days weather has not been kind. As I am blogging about this now, sky is a little bluish after a heavy downpour earlier this morning. Jupiter only takes up a very small spot in the sky. You just need that spot to be clear enough even for a short while during this shadow transit period to enjoy a view that few on Earth knows about, let alone seeing it! - Observe Io and Europa getting very very close to Jupiter before "disappearing" in front of its glare. It will look like a small white "pimple"on Jupiter. - Usually we see can see 4 moons of Jupiter as 4 dots surrounding a bright disc. Tonight, 2 of them is going to "disappear". Leaving the other 2 (Callisto and Ganymede) roughly at equal distance on each side of Jupiter. - Take precise measurements on the entrance and exit of Io and Europa and they shadows on Jupiter. 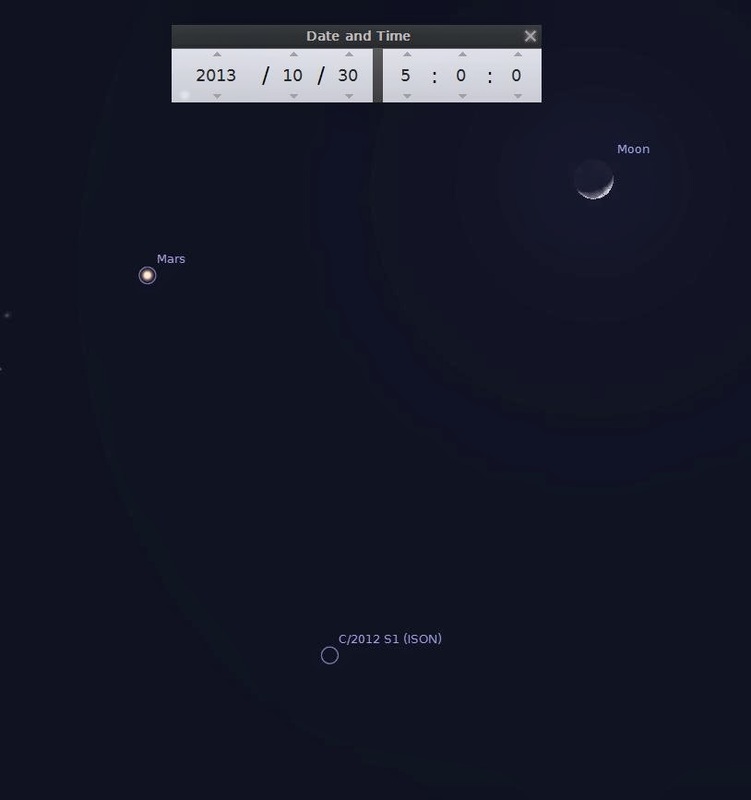 Then compare with your astronomical apps and software and see how accurate they are. - Jupiter is a sphere. So the shadows casted on it will not be perfectly round black dots, especially near the limbs of Jupiter. See if you manage to observe that under high enough magnification through telescopes. - Use this opportunity to test the capabilities of your binoculars, telescopes and photographic gear. - For those who are keen to shoot and have no access to telescopes, just give it a try with whatever camera and zoom lenses you have. Mount them on a stable tripod and shoot Jupiter. Even if you can't capture the black dots, you can try time-lapse photography and frame all the 4 moons and Jupiter together. 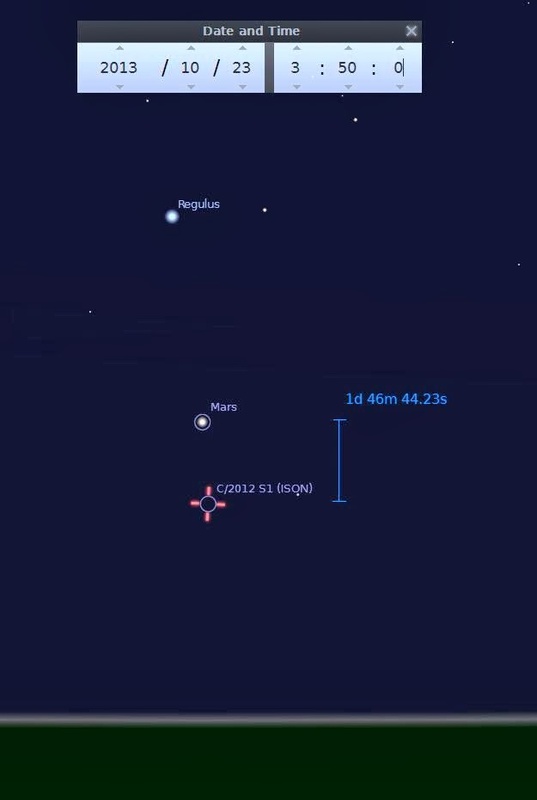 You may create a nice video showing these 2 moons "disappearing/appearing". - Observe it with your family and friends to make it an even more memorable outing! Weather permitting, due to the early morning hours, I should be observing it alone or with my friends. Follow my tweets to find out if luck is on our side! Tweet #JupiterSG if you are observing this event too! So good luck, clear skies and stay awake everybody! !